If you like this free game, try Rooms – The Unsolvable Puzzle. In Back to Bed you have to guide the sleepwalker Bob from his sleep inducing office to the safety of his bed by controlling his subconscious guardian Subob, whose job it is to both guide and protect the sleepwalking Bob. The pair will travel through a surreal and painting like world where the boundaries between Bob’s dream and reality have vanished, but where there are still real world dangers that threaten the sleepwalker. Ever vigilant Subob must now guide Bob around dangers and back to bed. 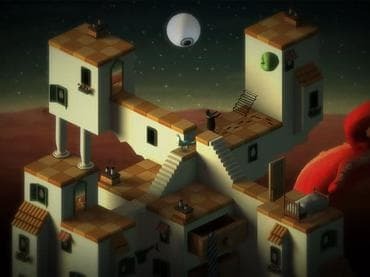 Back to Bed game features: - Unique surreal and artistic game universe; - Isometric puzzle levels; - Two characters as one; - Picturesque visual style. If you have questions about Back to Bed game, please contact us using this form.